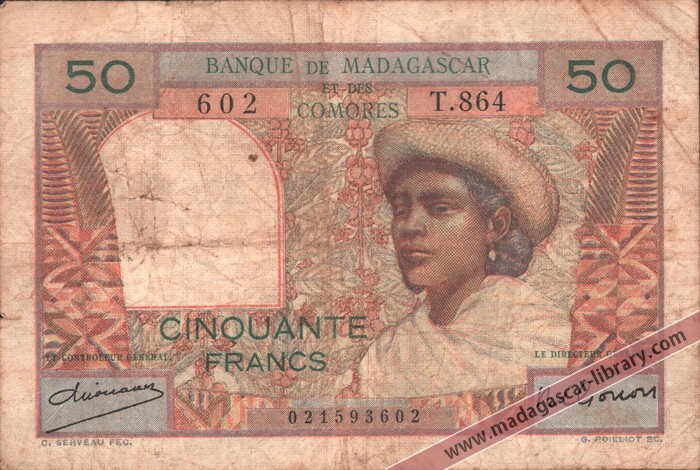 A Malagasy banknote issued by Banque de Madagascar et de Comoros to the value of 50 Francs. On the front is depicted a Betsileo woman in a straw hat against a backdrop of flowers, and on the reverse a Betsileo man in front of a river scene. There is a watermark of a girl's head. 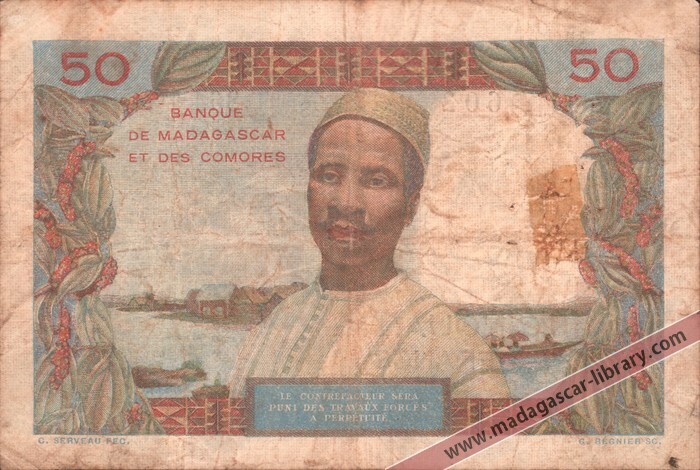 The signatures are of Controleur G�n�ral Andr� Dejouany and Directeur G�n�ral Maurice Gonon. Printed by Banque de France.